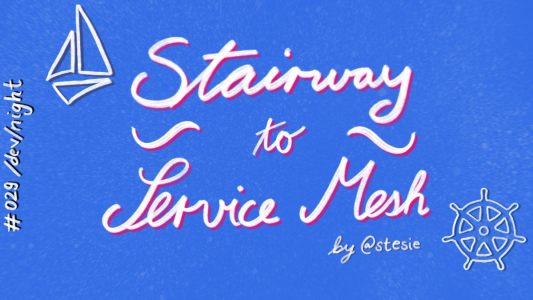 This time Stefan (@stesie) will introduce us to service meshes. More specifically he will show us Istio, which is a service mesh living on Kubernetes. Kubernetes is great but it lacks a must have for real world production scenarios. At least if we are talking about your microservice fleet integration over HTTP. Istio visualizes inter-service traffic and also allows you to control that traffic. With this you could do stuff like 5% of the traffic goes to a new service version and rest goes to the old one. You can also see which service depends on which. It also allows you to trace a request as it flows through the mesh and has circuit breaking features. You don't need to modify the services themselves! Instead everything is handled by the infrastructure layer. After the introduction we'll have a demo/workshop so bring your laptops! If you want to prepare your environment you can follow these instructions.